The first wee pool of the afternoon. 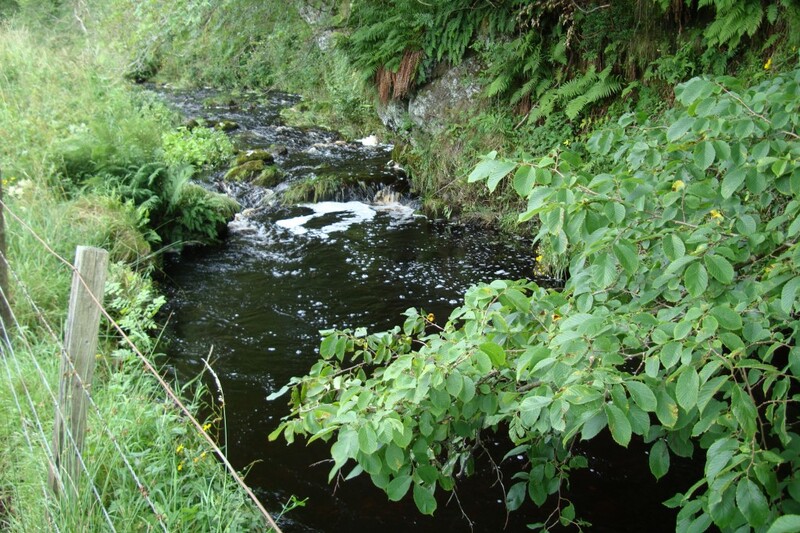 One of the great things about the Strathaven area is that there are many Burns that contain a good head of Trout and in my youth i enjoyed nothing more than finding and exploring these burns and catching there fiesty wee Brownies. 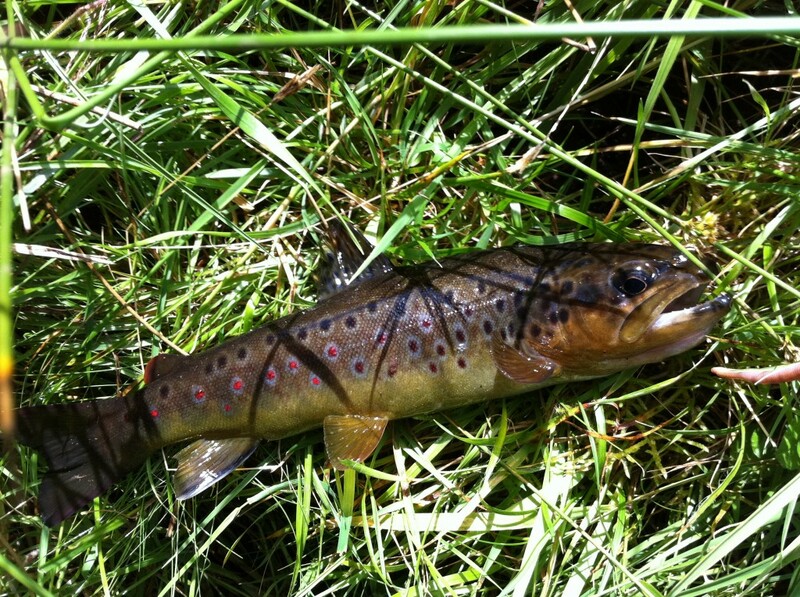 Many of the Trout you will catch will be of the the 3 to the pound variety – however these little streams can throw up some remarkable surprises and have been lucky enough to catch Trout to 2.5lb in a burn not far from the town – so you never know and that’s what always makes Burn Trouting exciting. It was a great hobby – all you need if you are not familiar with the area is an ordanance survey map a rod, some flies (or light worm tackle) and off you go. Had a couple of hours to spare on Sunday afternoon & decided to re visit some of the spots from my early days of fishing & was keen to do it in a similar style. So tackled up with a 12 foot match rod (it would have been a fly rod then) a centre pin reel (would have been a spinning reel then) 4lb breaking strain braid & 4lb nylon on wee piece of shot a number 12 hook & a brandling worm. 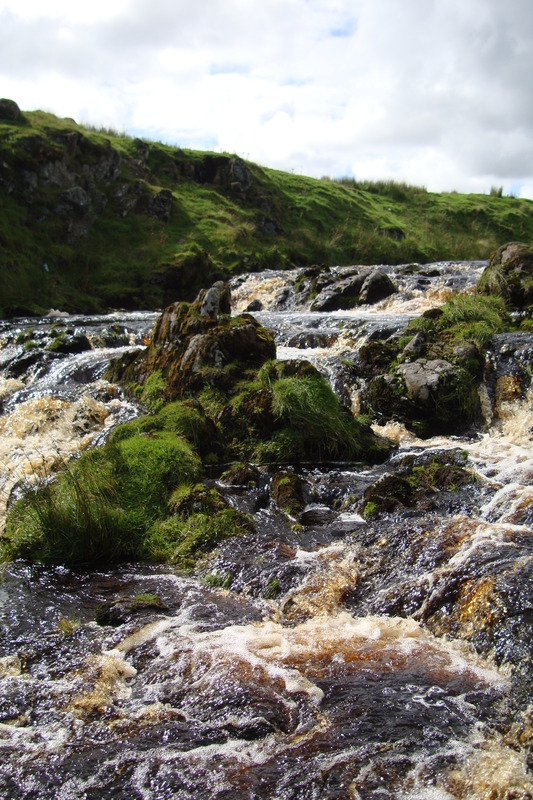 It was a lovely afternoon to be clambering around a wee burn & i wondered if i might have been better with some flys as the trout were rising to flys – but the burn was the colour of Guiness and looked just right for the worm. Spent a bit of time retreiving my line from branches & kept missing the bites at first – but finally got the hang of it on the second pool and caught a wee dark Trout about half a pound with bright red spots. They might be wee but they fight really hard for there size & can be amazingly acrobatic – had a great time, muddy knees & was back to being a wee boy – its great to do this again & will be having another go soon. Managed to catch 4 in 2 and a half hours – No Trout were harmed during this session & are now back happily swimming in the burn. 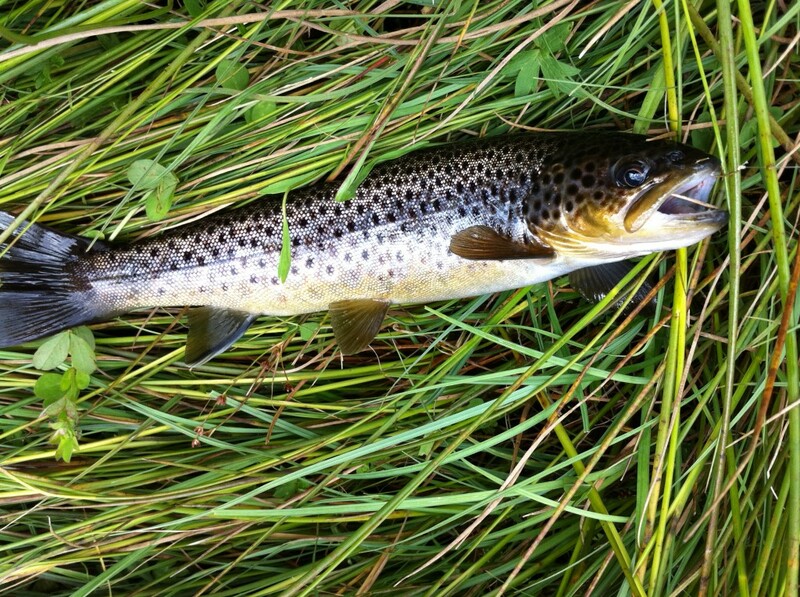 First wee brownie of the afternoon. A Waterfall on a bigger burn. Last wee fiesty brownie of the afternoon. 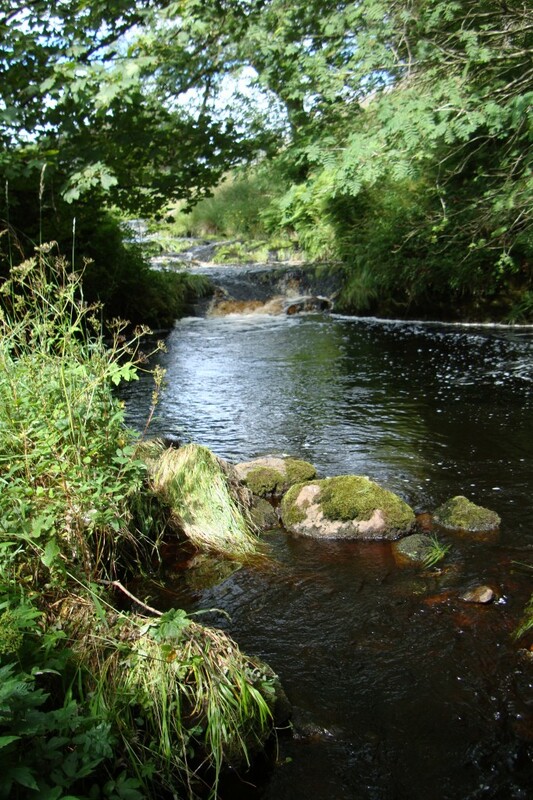 Nice posting,took me back to my own youth fishing the Brock Burn near Darnley, had a go at fishing it recently but it is so overgrown and neglected it was very difficult,happy memories though.